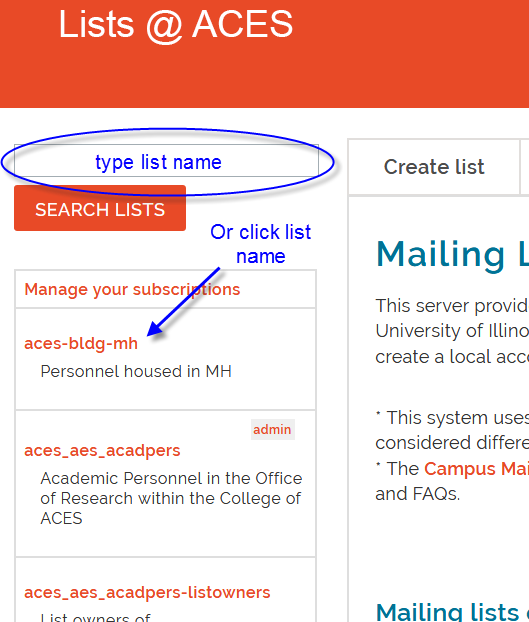 Note: If you haven't set up your account in Lists at ACES yet, log in with your university email address and campus password. Click here to view a recording of the training webinar that covers the contents of this guide and answers a few additional questions. On the left-hand side, either search for or scroll to find the list you want to manage and click the list name. 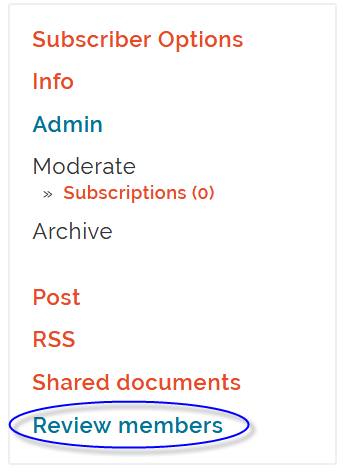 Scroll down, and on the left-hand side, click "Review members"
If you're only adding a single subscriber, type their email address in the "Add a user" field. 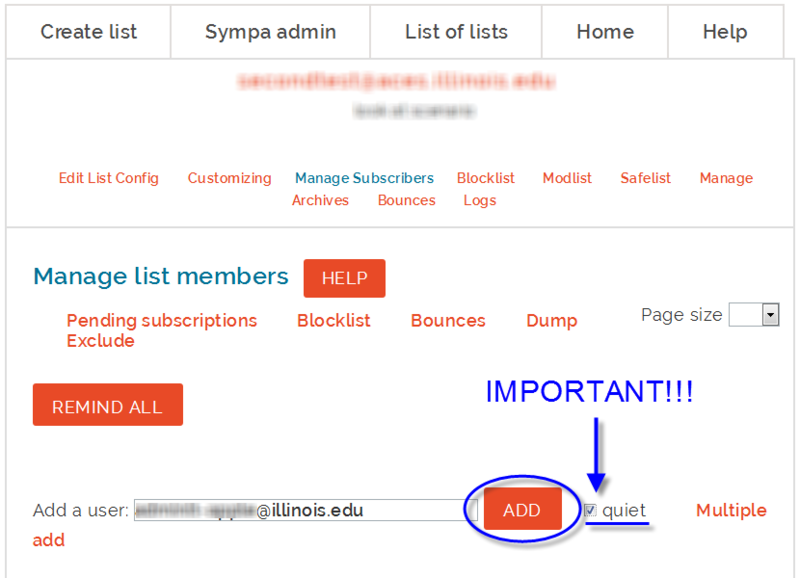 IMPORTANT: If you don't want the subscriber to receive a notification email, CHECK THE "QUIET" BUTTON. 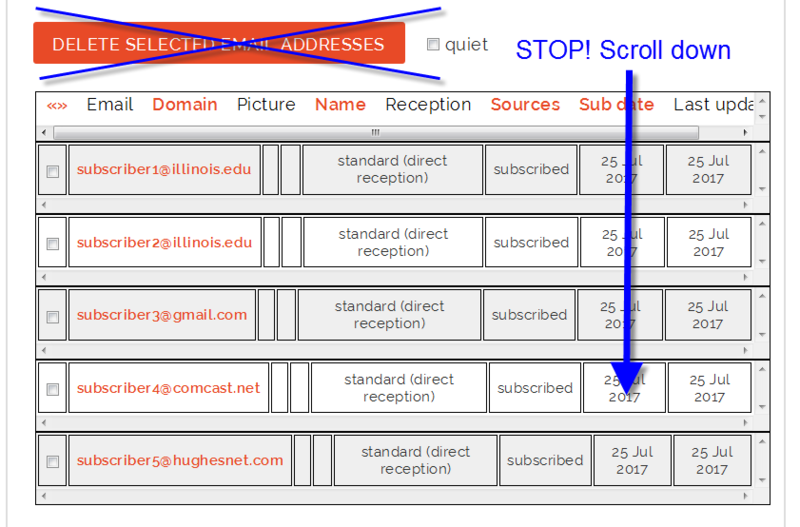 Type the subscriber email lists in the grey box, one per line. You can also copy/paste from another document as long as each list is on its own line. 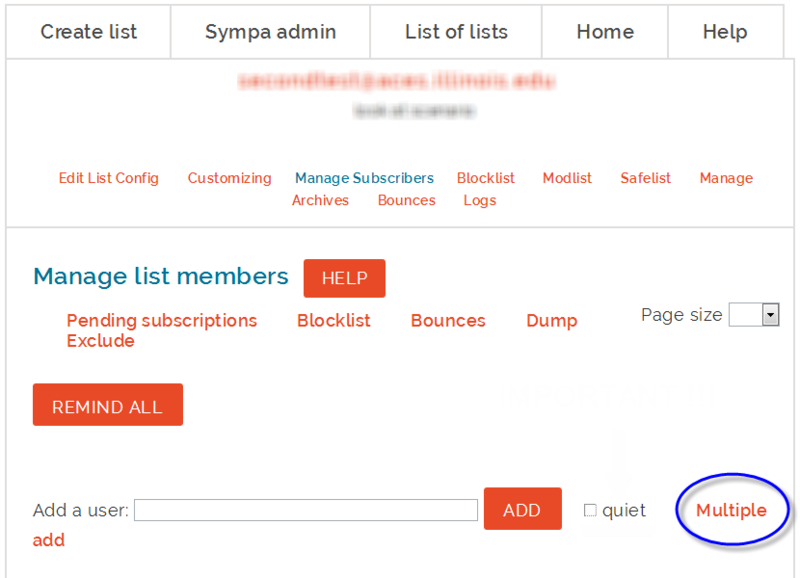 IMPORTANT: Before adding the subscribers, if you don't want them to receive an email notification, CHECK THE "QUIET" BUTTON. Click the "Add subscribers" button. To remove subscribers, scroll down past the membership list. You'll now see a "Toggle Selection" button. If you want to select EVERY subscriber, click this button. 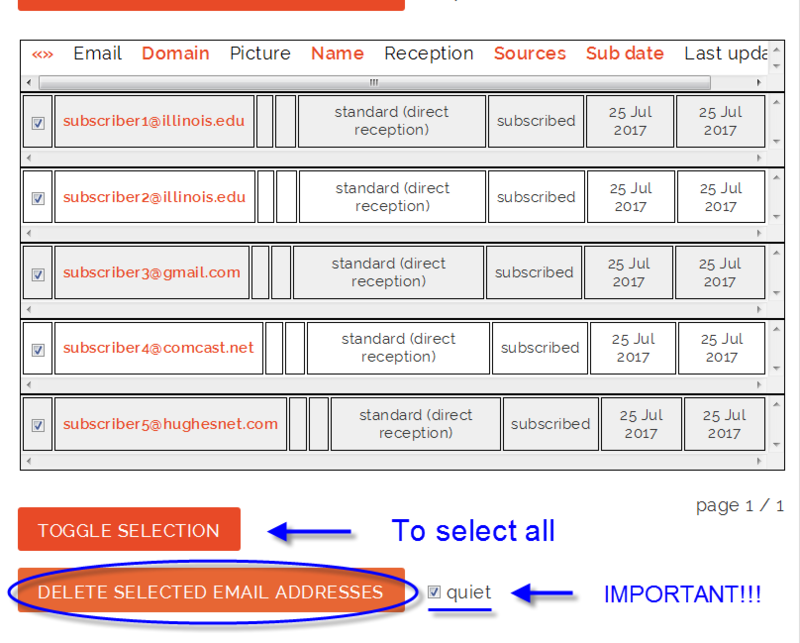 If you only want to select a few, check the box next to their individual email addresses. 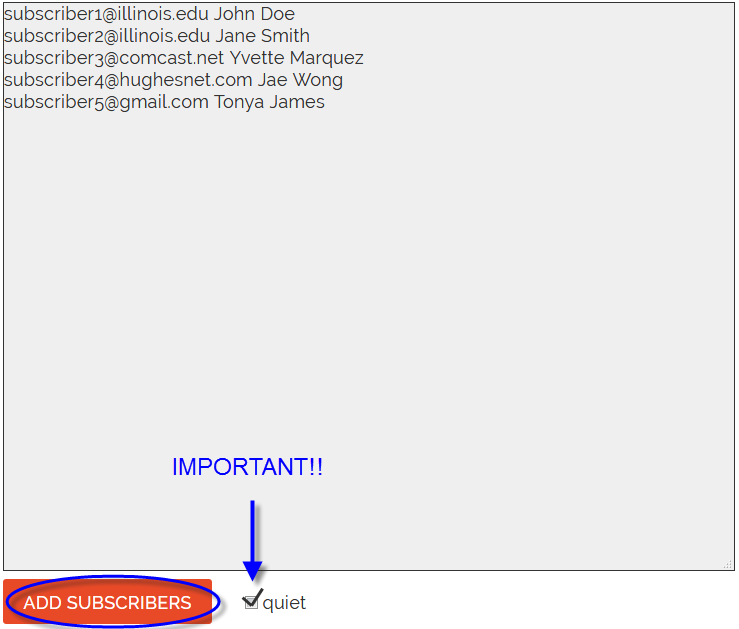 IMPORTANT: If you don't want the subscribers to receive an email notification, CHECK THE "QUIET" BUTTON. Click the "Delete selected email addresses" button. 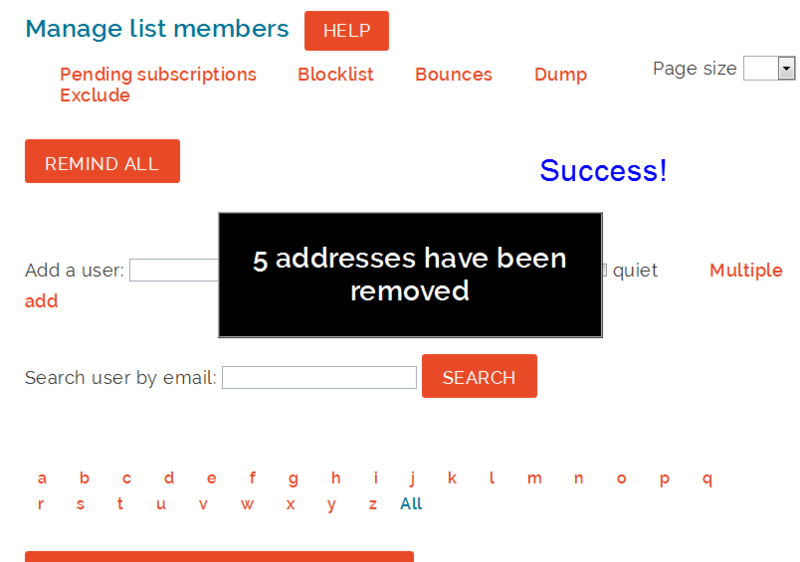 When prompted to confirm that you want to delete all selected members, click "OK"
Success! You'll see a confirmation that the selected subscribers have been deleted from the email list. If you have any questions about how to use Lists at ACES, or if anything doesn't work as expected, please reach out to your friendly ACES IT Pro.